Great shoes polish the outfit. Ralph Lauren’s Style Guide, and several other fashion experts, recommend the platform wedge, strappy dress sandal, bright leather bag, and spring scarf as Spring essentials. But, let’s talk shoes—for now. Many style experts proclaim the platform wedge as a spring style essential. Designers have created a gaggle of wedges to choose from. Casual canvas to luxurious leather. With just as many price points; but paying $800 for these great shoes is not Frugalista stylish. The wedge elongates the leg in much more comfy style than the stiletto. They look good with any of the Spring essential dresses detailed in earlier post. You’ll find great handbag gifts at ASOS as well. Check out the next post on that Spring essential. Endless.com has hundreds of wedges. 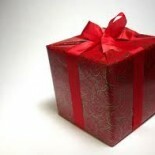 You’ll easily find a fit for your recipient. If she prefers closed-toe shoes, no worries. 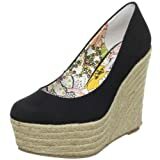 Endless has several, like the Madden Girl Women’s Kahara Slingback Sandal or Steve Madden Marryy Closed Toe Espadrille. One a slingback in richly woven leather look. The other in a breathable canvas in bright, spring colors. You’ll find just the right wedge and/or espadrille on this site: from Adrienne Vittadini to Bandolino Chinese Laundry Cole Haan Dolce & Gabbana Michael Kors Naughty Vera Wang; and many more. Endless is also flush with great spring essential handbag candidates. This elegant Spring style essential elevates anything she wears. Whether it’s one of the recommended Spring essential dresses or motorcycle jacket; or paired with white or colored skinny jeans. Endless.com has shelves of strappy, dress sandals as well. Like the Unlisted Women’s Closing Act. These will dress up casual outfits and brilliantly complement the rest. Beautiful, similar strappy sandals are also shown on these sandals’ web page, from $33 to $60. Or, simply do a search. Now, you have ideas for shoes to fit many a recipient. Get out there and make someone’s day with one of these Spring essentials. And, if you find a pair for yourself–well… Next time check out the Spring essential accessories. This entry was posted on May 1, 2012 by frugalistagiftguide in season essentials, tips, Uncategorized, women's and tagged espadrille, Platform shoe, Shoe, spring essential, strappy sandal, wedge.